Attorney Allen Gabe of Allen Gabe Law, P.C. has been awarded the “10 Best” Client Satisfaction Award in the state of Illinois for 2015. The recipients of this award are chosen by the American Institute of Family Law Attorneys which is an impartial third party organization that consists of attorneys that specialize in family law. The purpose of this award is to recognize family law attorneys who have achieved success with their practice and have become industry leaders while maintaining a clear commitment to helping their clients. In order to receive this award, an attorney has to be nominated by a member of the board, one of their clients, or another attorney. The nominees must have reached the highest degree of professional achievement within the field of family law with a near perfect Client Satisfaction rating and no unresolved complaints. Other criteria for this award includes membership in industry associations, having won other awards, having publications, and making speaking engagements. After the attorneys have been nominated, the American Institute of Family Law Attorneys chooses the “10 Best” based on their criteria. Not only does this award honor attorneys who have become industry leaders while working for the benefit of their clients, but it also helps those who need a family law attorney make an informed decision when choosing an attorney. 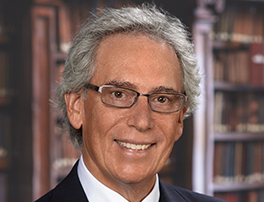 For over 30 years, Allen Gabe has been committed to providing legal representation in matters of family law as well as real estate, litigation, and business and corporate law while always putting the needs of his clients first. 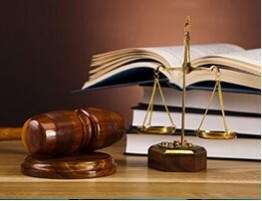 He has a reputation for treating each client with dignity and respect as he helps them through sensitive issues such as child custody, divorce, child support, and prenuptial agreements. Allen has also been an active member of various community service organizations such as the Rotary Club of Schaumburg and Hoffman Estates, in which he is the secretary, and the Board of Directors of the Northwest Suburban Bar Association. He is also the attorney for the Hoffman Estates Chamber of Commerce and for Rotary District 6440 and is a well-respected public speaker among his peers. About Allen Gabe Law, P.C. The attorneys of Allen Gabe Law, P.C. will continue our commitment to serving those in need of a lawyer to resolve matters of family law while always putting the needs of our clients first. If you need an attorney to help you through any matter of family law including a divorce or child custody disputes, contact the attorneys of Allen Gabe Law, P.C.